Boston Brass and Brass All-Stars Big Band: Christmas Bells Are Swingin'! Delores St. Clair Wright Christmas Show. 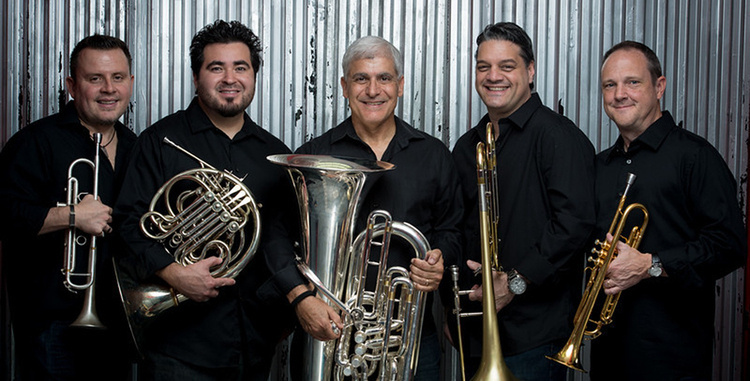 Boston Brass will have you in the Christmas spirit this season! This all-star brass ensemble features fiery big band arrangements of classics like the Stan Kenton Christmas Carols, "Greensleeves," and "Motown Jingle Bells" in a setting that will delight audiences of all ages.